Republicans are leaving the Florida House. Is Richard Corcoran the reason why? Several of the departing legislators were among those who voted against top Corcoran priorities in the 2017 legislative session. Florida House Speaker Richard Corcoran, R-Land O'Lakes. This year, nine Republican members of the Florida House of Representatives eligible for reelection have either left the House or plan to run for another office. Several have cited conflicts with House Speaker Richard Corcoran, objecting to what they call his dictatorial leadership style. Some say that relationship with Corcoran factored in their decisions to leave. Several of the departing legislators were among those who voted against top Corcoran priorities in the 2017 legislative session, including a bill to allow liquor sales in grocery stores and another to slash business recruiting and tourism promotions programs. "Corcoran's leadership style is just oppressive. It's as simple as that," said former Rep Dan Raulerson, R-Plant City, who resigned from his seat in July in the middle of his third term. Raulerson, who missed most of last session for health reasons, cited that and business reasons, but said the "top-down, autocratic, punishment culture" of the House was involved. Some members, he said, "are willing to take the chance of losing (a race for another office) rather than stay in the House where the situation has gotten intolerable." The Times provided Corcoran's spokesman a description of issues raised in this story and a list of questions Monday, seeking his response, but received none until after publication of the story online. Corcoran then sent this written response: "My promise to both my constituents and to the members was that I would lead with a bold, conservative vision and I would fight for it courageously. Since then, we've provided significant tax relief to every Florida taxpayer, transformed K-12 education, ended corporate welfare, and instituted strict transparency and ethics reforms. I am sure we ruffled some feathers along the way, but we also accomplished a great deal and that's how leaders should be judged – by what they do, not just what they say." 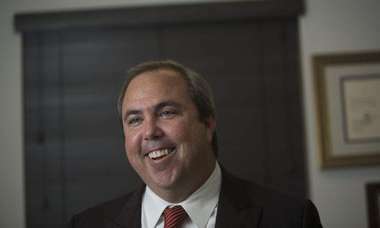 Mark Herron, a Tallahassee elections lawyer and veteran legislative observer, said the number of House members leaving this year, leading to half a dozen special elections to replace them, is unusual. "In most election cycles, there aren't any unless someone dies," he said. 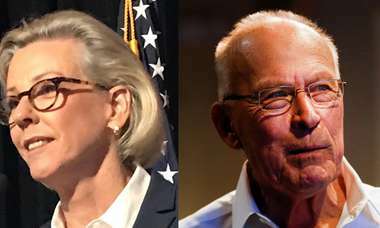 Four members will run for higher offices, three of them drawn by an unusual opportunity: Term-limited Attorney General Pam Bondi will leave her office open in 2018. Three House members are leaving to run in the GOP primary for the office. They may hope to take advantage of the non-presidential election year, more favorable for Republicans, in a quest for higher offices, said campaigns and elections expert Dan Smith of the University of Florida. But one of those in the attorney general primary, second-term Rep. Jay Fant, R-Jacksonville, acknowledged conflicts with Corcoran's House leadership team. "The strict hierarchy of the House is often rigid and pressures lawmakers to go against what the folks back home believe you should be working on," he said. Fant made an impassioned floor speech against House Bill 7005, which would have eliminated or drastically cut the state's business recruitment agency, Enterprise Florida, and the state's tourism agency, Visit Florida. He also opposed the liquor sales bill, Senate Bill 106, sometimes called the "whiskey and Wheaties bill," which allowed grocery stores, big box retailers and other stores to sell liquor in the same place as other products. He said he made his decision to leave because he believes he's the right fit for the attorney general's office, but added that the House leadership structure "doesn't make me shed any tears about leaving." Some departing Republicans denied that House leadership is driving away members. "I think there's just a lot of individual circumstances" among those leaving, said second-term Rep. Mike Miller, R-Winter Park, who'll leave the House to try to unseat Democratic U.S. Rep. Stephanie Murphy next year in a district Hillary Clinton won by 8 points. Miller voted against both HB 7005 and SB 106, but said he had no conflicts with Corcoran. He said the district leans Republican in congressional races, and he considers the race "an opportunity," not a way to escape the House. Rep. Frank White, R-Pensacola, said he's seeking the attorney general's office because "the opportunity to serve in that role is compelling," and that he's had no significant conflicts with Corcoran's leadership. Florida House speakers, chosen by the majority party, control members' committee assignments and choose committee chairmen, who in turn decide which bills will come up for a vote. In effect, that gives speakers control, if they choose to use it, over the fates of members and their bills. They even control members' office locations and parking spots. With Republicans having an overwhelming advantage in the House (they currently hold 77 of 120 seats), Democrats don't pose a challenge. This dynamic has been true for over a decade, but some House speakers use this power more than others. Corcoran is said to have an authoritarian style. Some legislators cited what they described as an unpleasant incident on the House floor during debate on the whiskey and Wheaties bill, when Corcoran left the podium to angrily berate Rep. Scott Plakon, R-Longwood, for seeking to amend it. Plakon declined to describe the incident, but said he and Corcoran had a conversation afterward that ended amicably, and he never suffered any consequences. Corcoran's second and final session as speaker begins Jan. 9. Early in the 2017 session, he fought a bitter public battle over House Bill 7005 with Gov. Rick Scott, which intensified. Both have ambitions for statewide office next year, Corcoran for governor and Scott for the U.S. Senate. 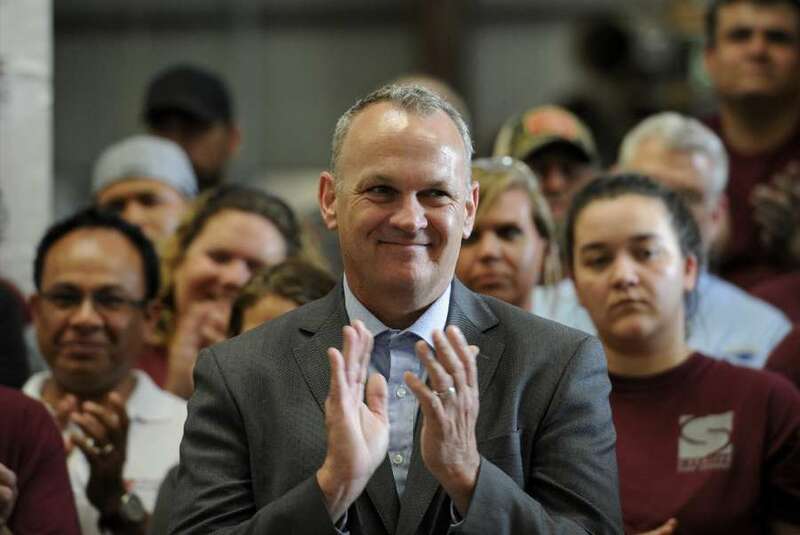 Corcoran could campaign on cutting government waste and corporate welfare, while Scott's entire political career has been based on claims of creating jobs, which he said the Visit Florida and Enterprise Florida foster. Corcoran said the whiskey and Wheaties bill would eliminate an unnecessary restriction on free enterprise. Critics noted his brother, lobbyist Mike Corcoran, represents Wal-Mart, which has sought the measure for years. Former Rep. Alex Miller, R-Sarasota, quit in August in the middle of her first term after voting against HB 7005. She initially cited the job's unexpected time demands and need for more time with her family, but later gave different reasons. "I went in with the understanding that it was a very top-down place … but I didn't realize it would be so severe," she said in an interview. She said she lost her two favorite committee spots as punishment for votes leadership didn't like. "You're told to vote for bad bills and there's a general feeling of fear … trying to figure out what price you'll pay," she said. "You just put blinders on, hold your nose and press the buttons they want," meaning voting buttons on members' desks. • Rep. Kathleen Peters, R-Treasure Island, will run for a Pinellas County commissioner's seat in 2018, after Corcoran yanked her subcommittee chairmanship and some perks. Peters said she's "frustrated with (House) leadership" but denied that's why she's leaving — "Local government is where my heart is," she said. • Ross Spano, R-Dover, running against Fant and White in the attorney general primary. 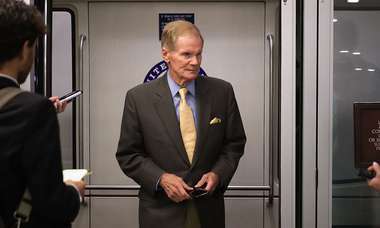 • Former Rep. Eric Eisnaugle, R-Orlando, resigned when Scott appointed him to a judgeship in May. But he had already filed papers to end his 2018 re-election campaign in February, shortly after he lost the race for House Speaker in 2020 to Chris Sprowls, who was backed by Corcoran. • Rep. Neil Combee, R-Polk City, received a presidential appointment as state director of the federal Farm Service Agency, which he called "the chance of a lifetime." He said he's had no major conflicts with leadership. Eisnaugle, Fant, Alex Miller, Mike Miller, Peters and Raulerson all opposed HB 7005 along with nine other Republicans. It passed 87-28 but died in the Senate. Combee, Eisnaugle, Fant, Peters, Mike Miller, Raulerson and Spano voted against SB 106. It passed 58-57, but was vetoed by Scott. Eisnaugle didn't return calls for comment. Allies noted he could have restarted his 2018 campaign if he hadn't received the appointment, but he also wrote an Orlando Sentinel column in 2015 criticizing the concentration of power in the House, though without criticizing Corcoran. In the primary, Fant, Spano and White will also face former Hillsborough County Judge Ashley Moody, whom some consider the early frontrunner, and who shares Spano's home base in east Hillsborough County. Spano didn't return calls for comment. The three could still switch back to re-election campaigns by the qualifying deadline.